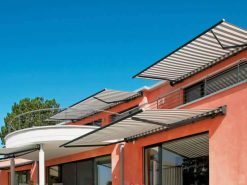 Roché combine international market-leading awning products by Markilux and Weinor, the support and reassurance of dealing with an established UK company, and the personal service offered by a local one. Roché’s head office provides support for a nationwide network of surveyors and installers, including many based in Bedfordshire and the East of England. All awnings are made to order, with complete control over sizing, hundreds of fabric options, a choice of frame colours and different operation methods. Products meet strict European quality control standards and our experienced installers are on hand to assist with fitting. Read on for more information on our Bedfordshire awnings. 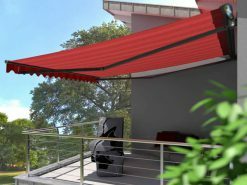 When most people are looking for an awning, what they are actually have in mind is a patio awning. 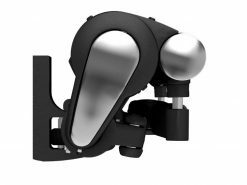 These designs are wall mounted and retractable, and our Markilux and Weinor products are the best in the marketplace. We have open, semi cassette and full cassette designs available, with hundreds of different fabric types, colours and patterns, a choice of frame colours, and manual and electric operation. 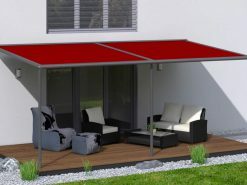 If you would like to learn more about Roché’s awnings for your Bedfordshire home, speak to us. 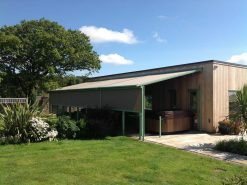 For areas which are exposed to stronger winds, or when a more heavy duty design is required, a veranda awning is the solution. They are capable of covering large areas effectively, and can be used in both domestic and commercial applications. We supply and install veranda awnings across Bedfordshire. All are made to order in Markilux and Weinor’s German factories, and can be installed by our expert team. 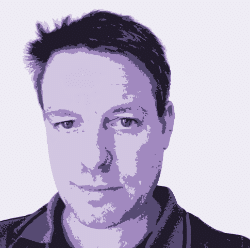 Paul is our main awning surveyor in Bedfordshire. He visits both domestic and commercial properties and will assess your requirements, measure up and answer any questions you have regarding our awnings. 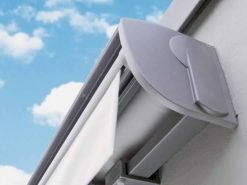 We install awnings across Bedfordshire, including areas such as Luton, Bedford, Dunstable, Leighton Buzzard, Kempston and Houghton Regis.